As part of the Uptown Normal Renewal Plan, ESA partnered with Tartan Development to design a new, five-story building on Normal’s Uptown Circle. 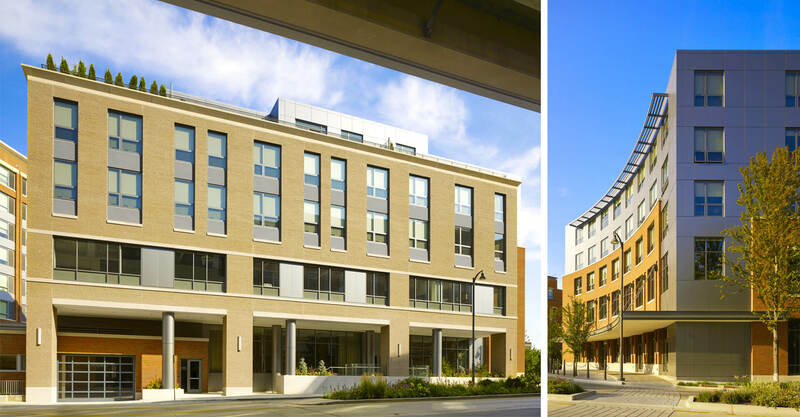 This recently-completed project represents the second phase of a multi-phased, mixed-use project in the town center; the first phase was the ESA-designed Hyatt Place hotel. The building contains 21 luxury apartment units and associated amenities as well as the second floor offices of the Town of Normal municipal government offices, atop a ground floor white tablecloth restaurant and a 21-space below-grade parking garage. The offices for the Town of Normal accommodate 25 municipal employees, consisting of the Town of Normal offices of Planning and Inspections, Zoning, Traffic and Engineering. The design includes an urban, industrial aesthetic with a map of Normal integrated throughout the space. 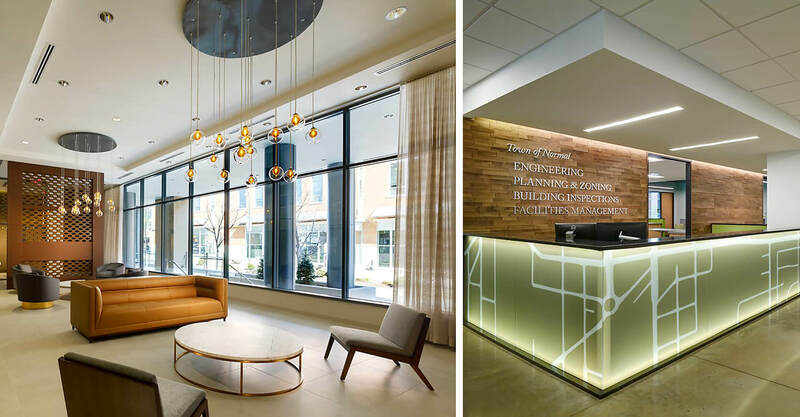 ESA was responsible for the architecture of the building as well as the interior design of the residential, office and common area components. The top floor of the building is comprised of three luxury units oriented around private rooftop terraces and with views of this quaint but lively downtown. 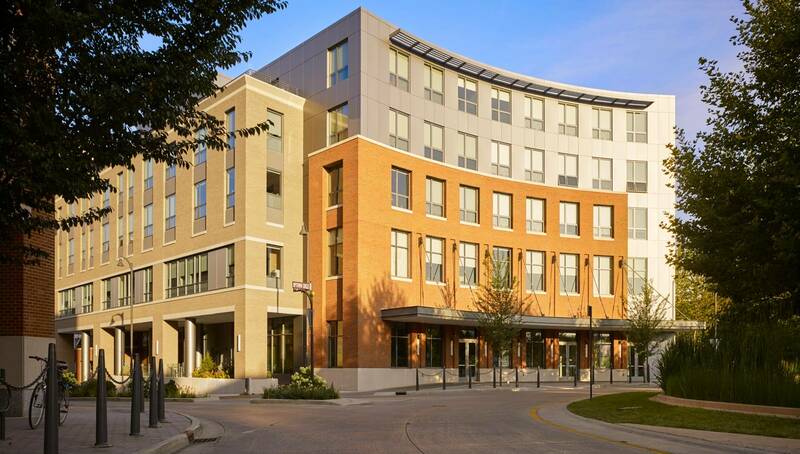 The building addresses the circle with a curved exterior wall, linking it with the neighboring hotel, commercial properties, and future developments while contributing toward a newly urban, walkable town center.